Verizon Business says it can help European companies cut back on mobile service costs, including international roaming fees, with a new offering it plans to unveil on Tuesday. The service uses a clever trick to reduce the sometimes-exorbitant fees that operators charge roaming customers in Europe. 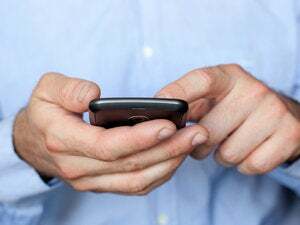 Software on the phone essentially flips an outgoing call so that it looks to the operator like an incoming call, which carries a lower fee, said Graham Starkins, group manager of Verizon Business' fixed mobile convergence products. When a user dials a call, the software essentially intercepts it and sends a signal to Verizon's voice-over-IP platform. The VoIP platform then calls the user and places a call to the called party, joining the two legs together. "The result is that when roaming, we flip the call from international roaming origination to a termination call, and that will deliver some significant cost savings to the customer," Starkins said. The user doesn't notice any difference in the way that they place calls, he said. The software works in a similar way to reduce the cost of international calls that may be dialed in a user's home country. When the user places the call the software connects to Verizon's local VoIP gateway, which connects the call, typically for a lower cost to the user. While mobile operators will likely be unhappy to hear about this service since they'll be earning less revenue from people who use it, Verizon doesn't expect any problems. "We've done a full regulatory review on this and given that there are a whole raft of different products that use similar methodologies that are PBX- [private branch exchange-] based, we don't see any issues," Starkins said. It's unclear exactly how much money an enterprise could save with the service. Verizon charges a business a flat fee per end-user per month, but Starkins said that fee differs depending on the number of end-users and length of contract. An enterprise also pays additional fees for the portion of calls that are carried over the local phone networks. The service includes a couple other features that end-users might find valuable, such as a universal phone number that can ring users on their desks or mobile phones. The phone software is available for 30 phone models, primarily BlackBerry and Nokia devices. Verizon is working on an iPhone client, Starkins said. Verizon didn't develop the product entirely in-house. Israeli company MobileMax developed the phone software, Starkins said. The service is available in nine markets including Belgium, France, Germany, Ireland, Italy, the Netherlands, Spain, Sweden and the U.K. The service will work while customers in those countries roam anywhere in the world, Starkins said. Verizon Business is calling the service Global Fixed Mobile Convergence, but there is no Wi-Fi component to it. FMC usually describes a service that can route calls to a mobile phone over Wi-Fi as well as cellular networks.